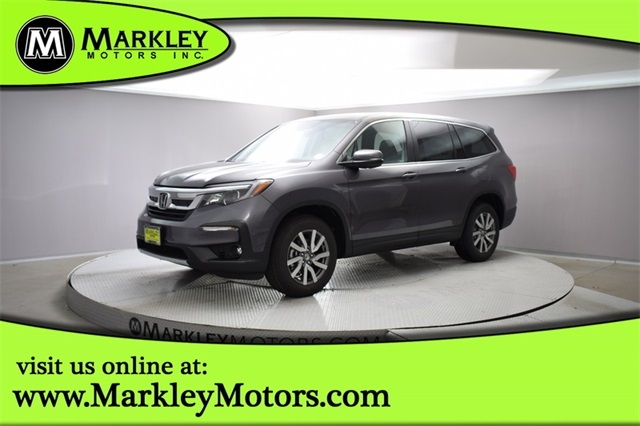 The smart choice for your lifestyle, our 2019 Honda Pilot EX-L AWD is proudly shown off in Modern Steel Metallic will impress you every time you get behind the wheel! Fueled by a reliable 3.5 Liter V6 that offers a healthy 280hp while paired with a 6 Speed Automatic transmission for smooth shifts and quick acceleration. Our incredible All Wheel Drive SUV can handle anything mother nature has to offer! Our EX-L is sporty and eager to please with its distinct grille, LED daytime running lights, fog lights, a power tailgate, and gorgeous alloy wheels. This Pilot from Honda received excellent safety scores thanks to its advanced safety features like Honda LaneWatch, a backup camera, advanced airbags, and a tire pressure monitoring system among other safety features. You need transportation that's as versatile as you, so climb inside our Pilot today. Print this page and call us Now... We Know You Will Enjoy Your Test Drive Towards Ownership! We Value You As A Customer And Look Forward To Showing You What The MARKLEY DIFFERENCE Is All About. We've Been In Business For 80 Years For A Reason! 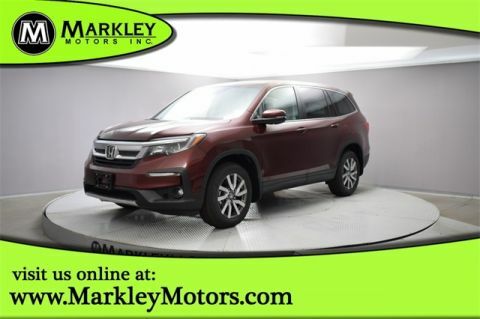 Call Us Now At MARKLEY MOTORS At 1-970-235-9166.